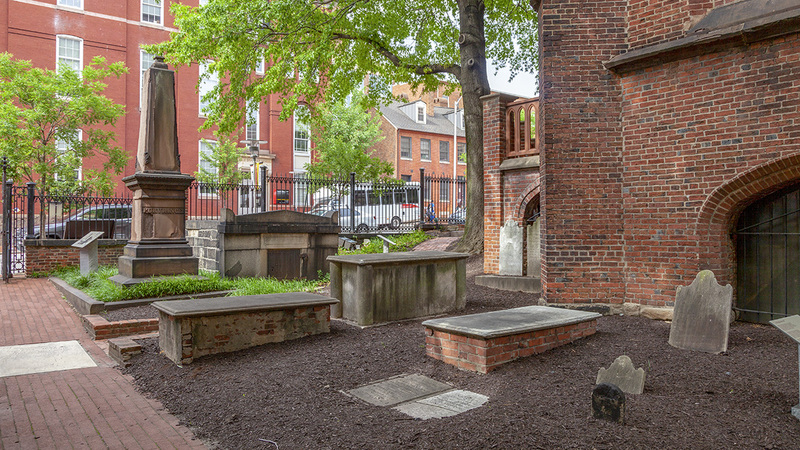 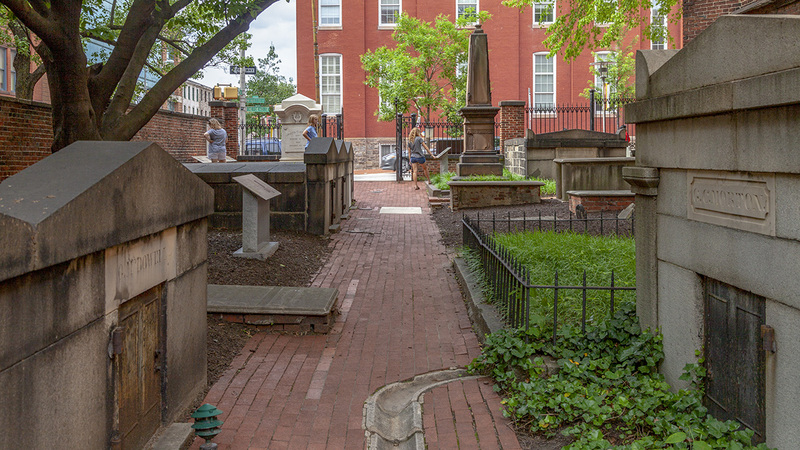 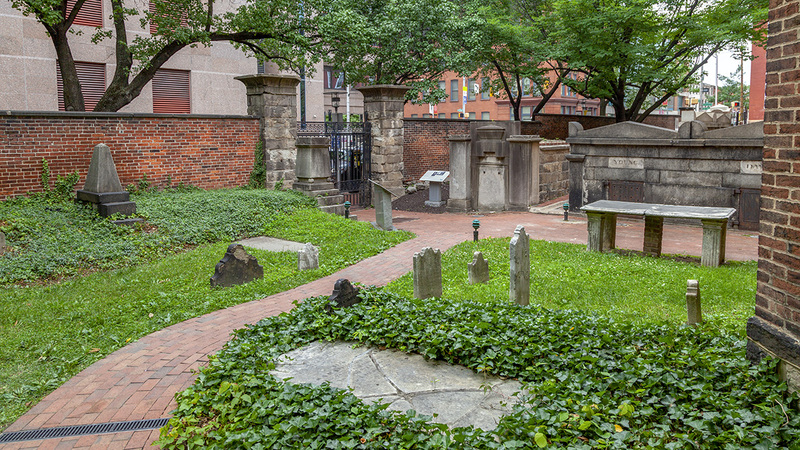 Located at the southeast corner of Fayette and Greene Streets and opened in 1786 by the congregation of the First Presbyterian Church, this one-acre burial ground was originally established at a distance from downtown Baltimore because of fears of contagion related to the burials. 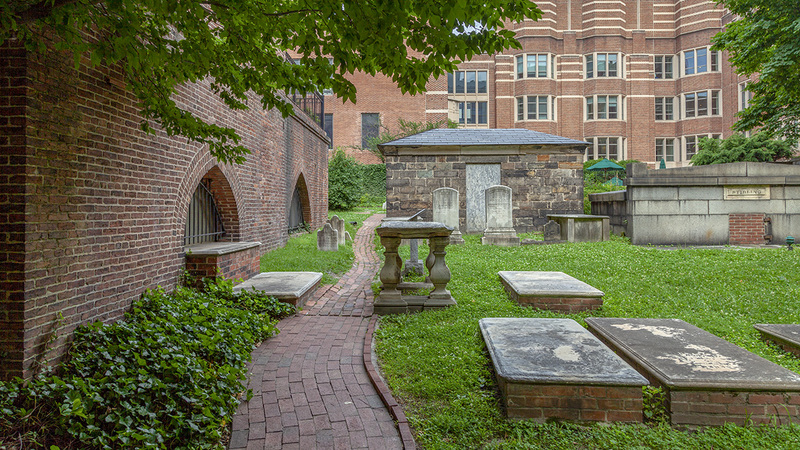 The grounds initially afforded space for approximately 180 plots, and the main entrance was located to the south of the property. 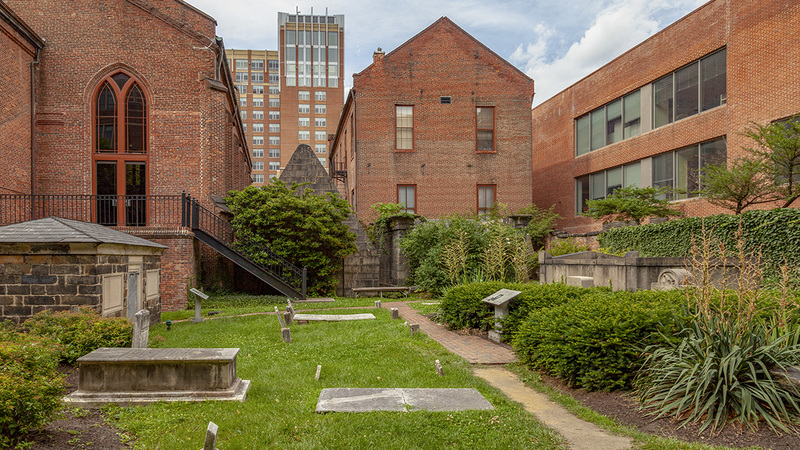 In 1852 the Gothic Revival-style Westminster Presbyterian Church and Manse (designed by Thomas Dixon) was constructed to serve Baltimore’s growing west-end inhabitants while preserving the surrounding grounds. 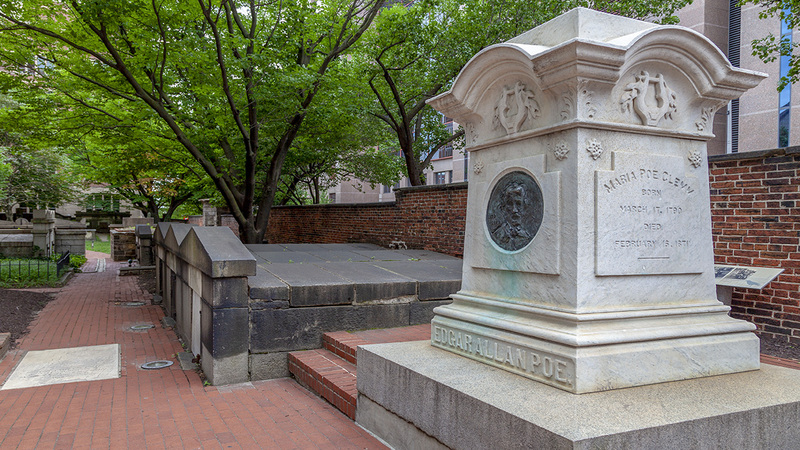 Along with several Revolutionary War generals and veterans of the War of 1812, Edgar Allan Poe is interred in the cemetery, his grave (to the rear of the church) marked by a headstone with an engraved raven. 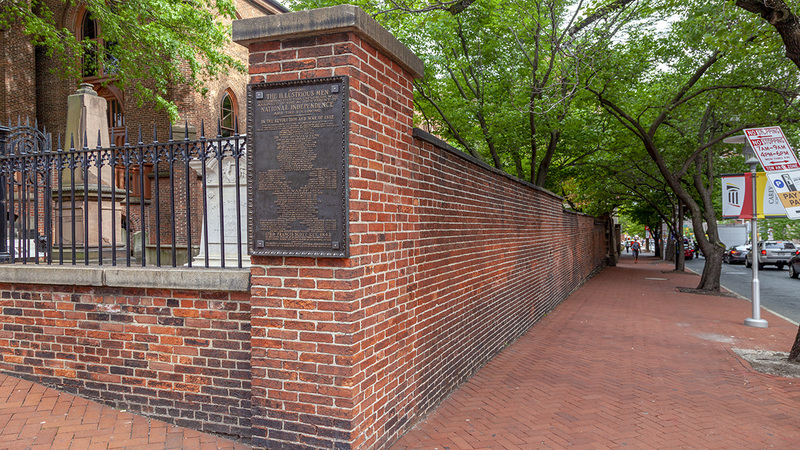 In 1875 a local school teacher organized a "Pennies for Poe" campaign to raise money for a grander memorial (designed by George Frederick), resulting in the large marble monument to Poe located in front of the church, along Fayette Street. 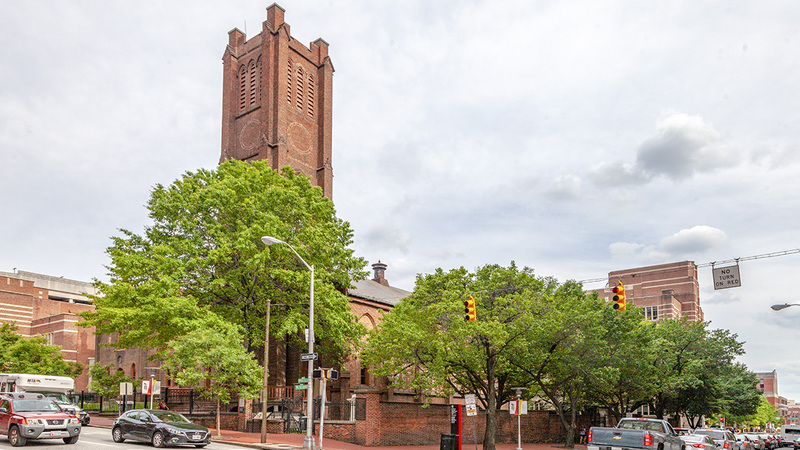 The church was decommissioned for secular use in 1977 and now serves as an events venue.